Hanukkah is called the Festival of Lights in memory of the 2,000-year-old miracle, during the Jewish rebellion against the Greeks, where they were able to regain the ancient city of Jerusalem. Yet the miracle was not the victory, it was that the oil for the Menorah in the Jewish Temple, which was supposed to last for one night, ended up lasting eight days and nights. In light of the miracle, for generations the theme surrounding Hanukkah cuisine has been deep fried oily delicious dishes. So in honor of the holiday, here are some different dishes that originate from different Jewish cultures and heritages, including North African, Arab and Eastern influences. 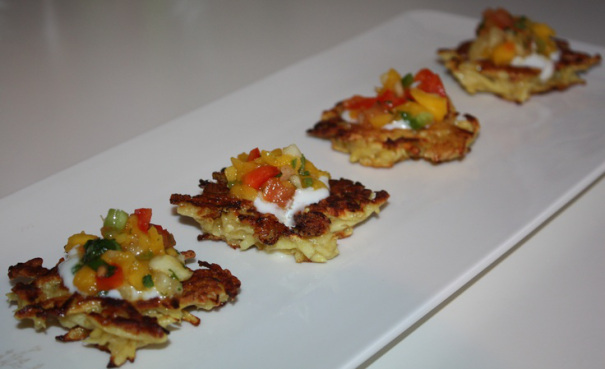 A latke is a potato pancake, to put it simply. The tradition of the latke originated in eastern European countries, including Austria, Belarus, Latvia, Poland and more. Prior to the introduction of the potato to the Old World, latkes were, and in some places still are, made from a variety of other vegetables, cheeses, legumes, or starches, depending on the available local ingredients and foods of the various places where Jews lived. 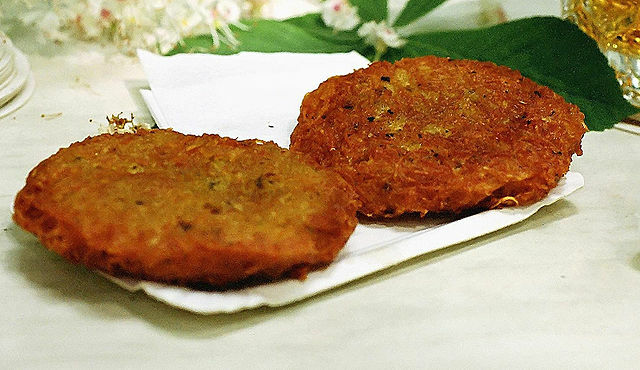 The latke is usually a special in many restaurants in Israel around the time of this holiday. 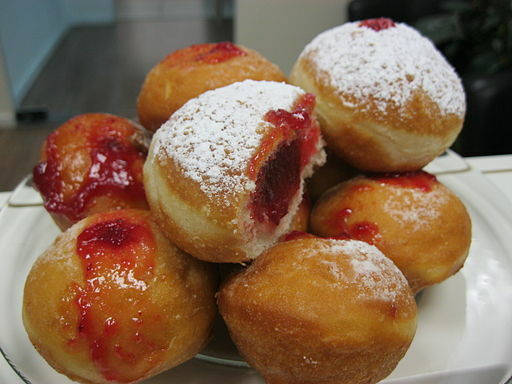 If you are in Israel for the time of the holiday you will hear the word sufganiyah thrown around a lot. The word sufganiyah translates to doughnut in English. It is a specialty item for the holiday because it’s sweet and deep fried. They are sold exclusively around the holiday season and you can find them everywhere in Israel, in a plethora of variations that are creative and original. The classic is jelly filled however. A sfenj is the North African spin on the sufganiyah. The difference between the two is that the sfenj may be deep fried as well but has no filling. Instead, it’s coated with powdered sugar. Interestingly, in Arabic, the meaning of sfenj is sweet sponge. This Moroccan Jewish staple is a delicacy for anyone who is looking for a different type of Hanukkah specialty. 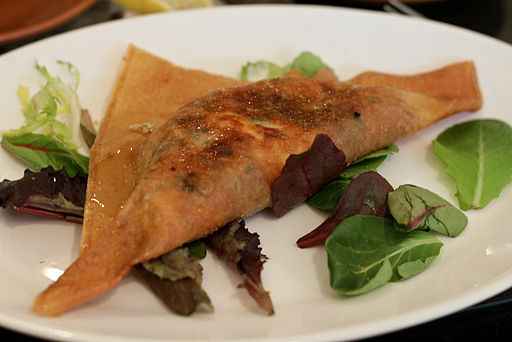 The brik (pronounced ‘breek’) is a Tunisian dish that consists of filo pastry surrounding a filling. Traditionally it’s cooked with an egg filling. The connection to Hanukkah is of course that it is deep fried. If you want to try this at home, you don’t need to deep fry it. Just coat an omelet with filo dough and to give it extra texture, and surprise whoever you are making it for with something new and different. 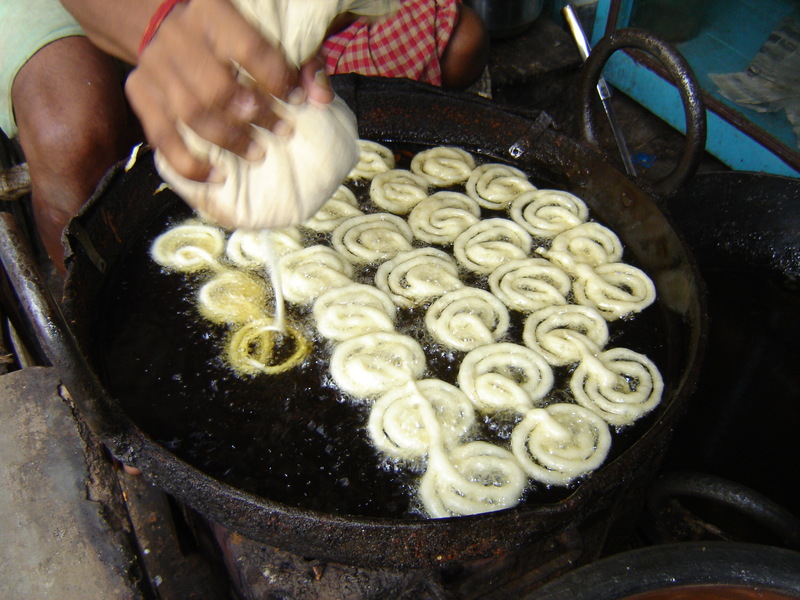 Jalebi (pronounced ‘zalabia’) is basically a Middle Eastern funnel cake. It is made out of a flour-based dough and of course, deep fried and soaked in a sugar syrup. This is a delicacy you can find in any market in Israel, or roadside around the Middle East. An Italian Jewish Hanukkah tradition, pollo frito is deep fried chicken coated in flour and spices. 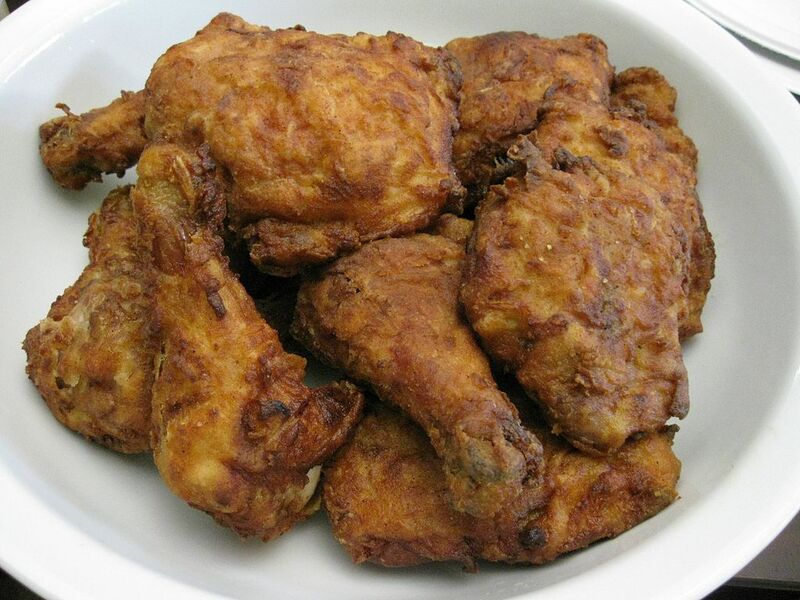 Basically if you are in the mood over the holiday, go to your closest fried chicken joint and get some crispy deliciousness to celebrate the holiday. Part of the holiday tradition is to consume dairy products. The best kind of deep fried cheese that can be found in Israel? Deep fried haloumi cheese. Haloumi is a semi-hard unripened cheese made from a mixture of different types of dairy. 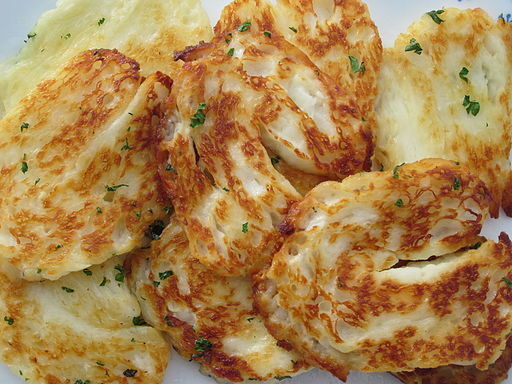 Deep fried haloumi can be found in almost every dairy restaurant in Israel. It’s a very popular dish in the Middle East. Combine the ingredients for the latkes in a mixing bowl. Mix until the spices blend. Put a non-stick frying pan on a medium-high flame and add the oil until it shimmers. Measure out a tbls of the mixture, place in hot pan, and flatten. Fry until golden brown on both sides. Place on a paper towel when finished frying to absorb the extra oil. For the salsa: Combine ingredients for the salsa and let rest for 10 minutes before serving. Serve with crème fresh and have a happy Hanukkah!